Step into the action-packed world of LEGO Ninjago, and discover everything there is to know about the legendary Ninja. Meet the heroes of LEGO Ninjago, learn all about their foes, and join them in their fierce battles with the LEGO Ninjago: Secret World of the Ninja Hardcover Book. Discover their amazing weapons, vehicles, and dragons. Learn how to become a powerful Ninja, just like Kai, Zane, Cole, Jay, Lloyd, with the help of their wise leader, Sensei Wu. 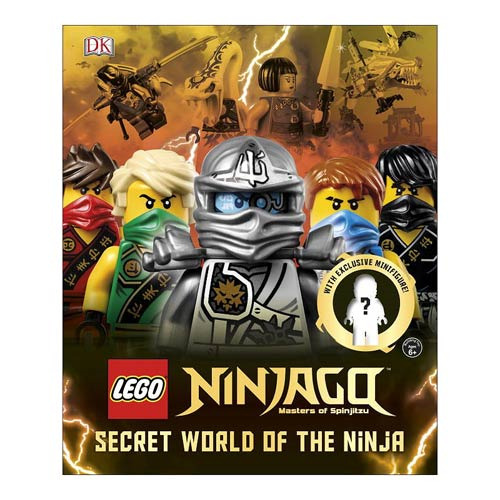 Featuring an exclusive mini-figure to guide you on your way, LEGO Ninjago: Secret World of the Ninja Hardcover Book will have you mastering the ways of the ninja in no time! Measures about 11-inches tall x 9 1/4-inches wide. 96 pages. Ages 6 and up.